Two years ago today, she had been re-born into eternity. I remember her today with a simple meal. 1. Place all ingredients in a sauce pan, except cocoa powder and sugar, and bring to a boil. 2. Turn down the heat to low. 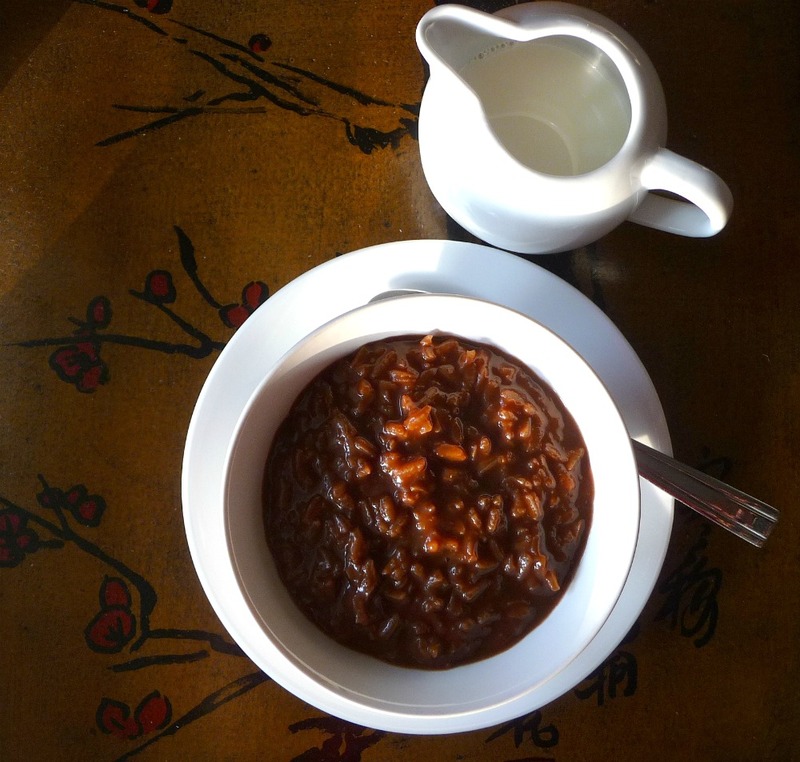 Add the cocoa powder and stir occasionally until the cocoa powder is dissolved and until the rice is cooked. Add sugar slowly until you reach your desired taste. 3. Serve with whole milk, cream, or evaporated milk on the side. 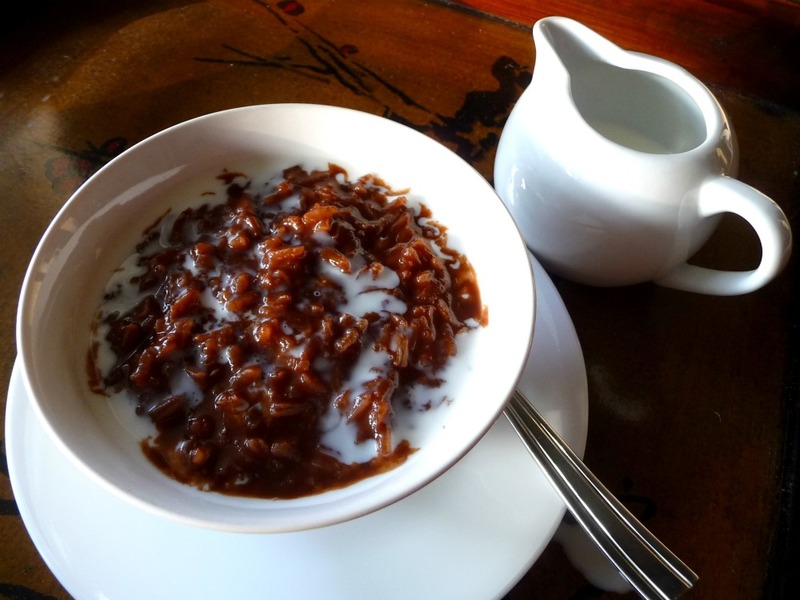 Stir in the milk into the champorado for a creamy tasting porridge. 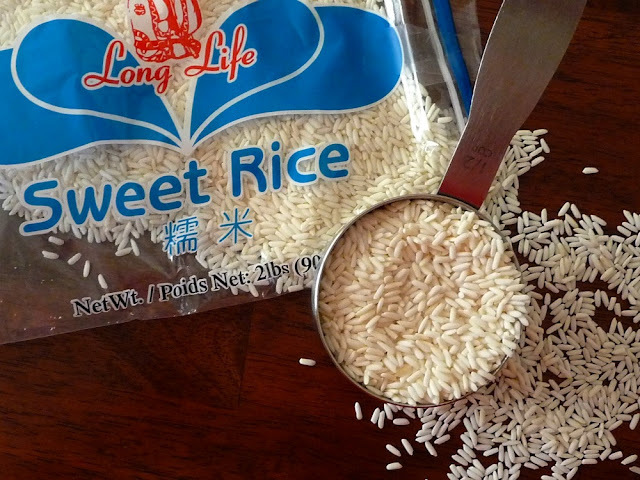 Sweet rice has a thicker, stickier texture than regular rice. It's also sweeter and creamier tasting. Here's to you mom. I know you love your afternoon snacks....a habit I acquired from you.